It would appear that the development of Hellraid has not been going as quickly as expected, and new reports are now explaining why that has been the case. Yesterday, developer Techland announced that it will no longer be offering Xbox 360 and PlayStation 3 versions of the game, and that it will be moving development to a new gaming engine that would be more appropriate to handle the title’s intensity. While Steam Early Access is set to become available later in 2014, Hellraid’s actual release date has been moved to 2015. “Techland officially announces that its upcoming dark fantasy game will run on a new engine, while the game itself went through an overhaul and is now heading to next-gen consoles alongside the PC release, with Steam Early Access planned for autumn,” wrote the company in an official press release. 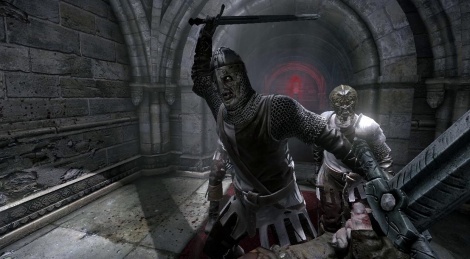 Hellraid actually got its first launch in 2013, and has since become a more dynamic title as a result of Techland’s immersion into the game’s development, as well as feedback from gamers. With that in mind, Techland has also confirmed that it will introduce new features, which have been shown off accordingly in a new video tease for the upcoming title. Techland went on to explain the different modes that would be available to gamers on Hellraid. The first mode is Story Mode, where players can independently battle the “forces of Hell” while exploring the open world around them. Mission Mode would have great replay value, as suggested by the press release, and would “put more focus on arcade-style fun of climbing up leaderboards, creating the longest combos, and beating high scores.” A new mode, Arena Mode, would “offer survival gameplay with waves of deadly demonic hordes to fend off.” All modes would be offered in single-player mode and co-op modes with two to four players. “Players will be able to create and customize their characters with armor, clothes, and accessories such as amulets,” wrote Techland as it explained how Hellraid would allow for a more freewheeling character creation system. According to Techland, the skill tree will not be limited depending on a character’s class, and that would result in players creating a character “perfectly suited to their play style by combining various active and passive abilities.” As for gameplay, Techland said that Hellraid now has an improved combat system, with “one- and two-handed melee weapons, shields, magic staves and ranged weapons.” Furthermore, melee combat has become more immersive and intricate, while magic spells will supposedly offer an impressive selection depending on what you’d be needing the spells for. Talking about the game engine, Techland explained that its upcoming title is transitioning to the Chrome Engine 6, which is also used by another one of the company’s titles, Dying Light. Players can expect a physics-based lighting system, more complex animations and effects, advanced AI, and more detailed character models and locations. Release dates for the PC, Xbox One, and PS4 versions were not announced, but again, should take place sometime in 2015. Netflix has come a very long way indeed, as the service is now available in more than 40 countries. The company has also produced its share of original content, with close to two dozen Netflix-produced shows currently available. However, it is only now that Netflix is announcing its first foreign-language series, a 13-episode parody show set against the backdrop of association football, or soccer for the majority of those living in America. According to Netflix chief content officer Ted Sarandos, the soccer-inspired comedy serves as the company’s power play for its Spanish-speaking markets, as the company considers the Latin American markets to be particularly important to its business. While companies such as HBO have been offering original content for much longer, Netflix has its own way of attracting viewers from all around the world, as it is seemingly hedging its bets on programs created in multiple languages, thus giving the service a more continental appeal. It won’t be until next year when the soccer parody show will be making its debut, and as of now, it doesn’t even have an official title. It is, however, created by the same production team that gave us Mexican hit movie Nosotros los Nobles, a film that is essentially the Mexican equivalent of American comedy Arrested Development – rich family finds itself having to deal with the reality and unexpectedness of poverty. The cast will be culled from all over Latin America, though it is set to be shot in Mexico. Aside from Spanish-speaking markets, Netflix also has its eye on other non-English-speaking markets, including France and Germany. 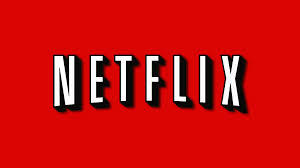 Market analysts expect that Netflix will become available in those countries within 2014, though this has yet to be fully confirmed by the company as of this writing. In a recent report, Netflix spokesman Joris Evers was quoted as saying that about 20 percent, or one out of five titles, would have a local flavor to them once Netflix debuts in a new market. Local flavor, according to Evers, would mean “non-Hollywood” content, and Netflix would decide on which content would stream in a new market much like it does when considering original series to approve. That means the company would ascertain which TV shows and movies are popular in a given country, and also fully analyze which types shows and movies are usually pirated by the country’s residents. Still, one can argue that the soccer-based parody show is not the first Netflix series to be produced in a foreign language. Lillyhammer, for instance, is Netflix’s first-ever original series, and while its lead star, Steven Van Zandt, is an American, most of the dialogue in the series is in Norwegian, with English subtitles. The second season of the series, which has Van Zandt playing the role of a New York mobster hiding in Norway as a government witness, contains more English dialogue than the first. A very interesting new development from mobile carrier AT&T suggests that the company wants to improve Internet connectivity on airplanes going forward, and make online access more than just faster, but also more consistent and more widely-adopted. On Monday, AT&T announced that it plans to release a new high-speed Internet product late in 2015, with the foundation for the product being 4G LTE connectivity. According to the carrier, this may set a precedent for other mobile carriers, as AT&T may eventually be joined by other competitors in the nascent space it is creating with the new product. 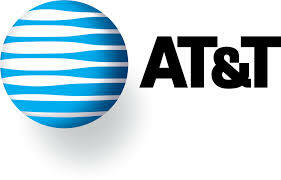 AT&T added that it will work with avionics supplier Honeywell International in creating this air-to-ground network. The announcement from AT&T led to some fascinating, yet arguably troubling developments in the stock market, as Gogo shares were down by close to 20 percent in after-hours trading, while shares of Global Eagle Entertainment (Row 44’s parent company) also took a double-digit hit after the close of regular trading. Both companies are involved in the in-flight Internet space, though neither have the same amount of clout as AT&T in the broader communications market. Traditionally, in-flight Wi-Fi has always been a pain point for travelers, due to inconsistent access and a lack of affordable price points for the majority of consumers. Such connectivity has indeed been on the premium side of things, as airlines and partner companies deal with a number of technical and financial headwinds in hopes of hitting the so-called “sweet spot” with consumers. Still, the problems of slow Internet speed and a rather limited user experience have made in-flight Internet a less than welcome proposition for the majority of air travelers. Gogo, in particular, said last year that only 6 percent of plane travelers had become its customers when the service was offered. As for AT&T’s product, “Ma Bell’s” brand of in-flight Internet will be competing with LiveTV, Panasonic Avionics, and Thales, with the first of these companies being a satellite-based television and Internet provider currently being sold to the latter company by JetBlue. All of the above companies use their own proprietary technology to allow for much better Wi-Fi access when in flight, and a number of airlines have hedged their bets on satellite-based Internet potentially satisfying more consumers in terms of Internet speed. But even with all the challenges, adding to the fact that the in-flight Internet space is still taking the proverbial “baby steps”, the industry has a lot of promise when talking about the business side. After all, it would be very convenient for travelers to have some access to the Internet when on a flight that could take over half a day, or to be able to answer important work-related emails while on the way to a business trip. Patrick “Pat” McGovern, the man who founded International Data Corp. (IDC) in 1964 and launched Computerworld in 1967, effectively spearheading the IT press industry, passed away Wednesday at the age of 76. This was announced by IDC offshoot International Data Group (IDG), a startup company that had eventually amassed $3.55 billion in revenue as of 2013. The cause of death was not announced by IDG, as per McGovern’s request to keep all details regarding his health private and within his family. Aside from Computerworld, International Data Group had been the parent company of many a tech-related publication, including InfoWorld, PCWorld CIO, CSO, NetworkWorld, CiteWorld, and the IDG News Service. All in all, approximately 300 publications, 460 websites, and 700 events are under the IDG umbrella as of this year, 50 years after McGovern founded IDC with friend Fred Kirch. In addition, IDG was also one of the first American companies to tie up with a Chinese company, a milestone that had undoubtedly helped IDG establish a presence in close to 100 countries. McGovern’s original company, IDC, remains a leader in the IT research space, and currently has about 600 employees in its workforce. 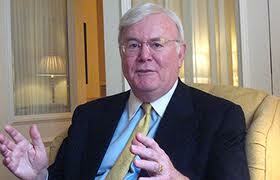 The company also has yet to go public, a decision McGovern had proudly defended despite staunch criticism. Co-workers past and present remember McGovern as a generous man who been active in charitable causes and someone who would take the effort to personally deliver checks for Christmas bonuses to his employees. McGovern would remain benevolent and generous towards his employees, even as IDG had moved to a larger home base in Framingham, Mass., and opened offices in California. He would also send ace reporters postcards should they come up with a standout article or report. All this helped IDG retain the feel of a small, tightly-knit community despite its actually being a multibillion-dollar enterprise. As for charitable contributions, McGovern and wife Lore Harp McGovern had helped fund the McGovern Institute for Brain Research in his alma mater of MIT, offering an especially sizable contribution of $350 billion. In addition to the above accomplishments, McGovern and IDG had also kicked off the popular “For Dummies” series of books, launching “DOS for Dummies” in 1991. These books sought to explain seemingly high-end concepts to the common person, and similar titles, such as Windows for Dummies, would debut in the years to follow. Though the For Dummies series is still heavily geared towards software and tech, the series also includes several books about sports and other general interests. McGovern is survived by his second wife Lore, four children, two stepdaughters, and nine grandchildren. Amid all the cheery optimism we heard from BlackBerry during the Thorsten Reins regime, the fact remains that BlackBerry is a very troubled company, with its newer devices not generating anywhere near the same interest as older ones did before the rise of the iPhone. Speaking of the iPhone, or Apple, to be more specific, it would now appear that details are now available for BlackBerry’s first collaboration with Apple manufacturing partner Foxconn, a phone known internally as the Jakarta but expected to be released as the Z3. Late in 2013, BlackBerry announced a development and manufacturing tie-up with Taiwanese company Foxconn, with both companies agreeing to develop a consumer-oriented smartphone for Southeast Asian markets such as Indonesia, where BlackBerry remains relevant in the marketplace. This came following what was largely a disappointing sales performance for the BlackBerry Z10 and Q10, despite a solid start for both BlackBerry 10-powered phones. As for BlackBerry and Foxconn’s new Z3, the phone will have an all-touch setup not unlike that of the Z10, but with lower-end specs such as a 1.2 GHz dual-core processor, 1.5 GB RAM, 8 GB internal memory, a 960 x 540 display, and a 5-megapixel rear camera. The device is expected to be launched at the coming week’s Mobile World Congress in Barcelona, Spain, with pricing to be set at around $150 without contract obligations. Meanwhile, BlackBerry CEO John Chen recently expressed his displeasure with T-Mobile’s ongoing “Uncarrier” marketing and rebranding campaign, wherein the U.S. carrier openly and aggressively encourages subscribers of other carriers to switch to T-Mobile and, in this case, switch from BlackBerry to the iPhone, a device T-Mobile has only recently started offering. The offending deal is said to be a “great deal for BlackBerry customers,” and involves T-Mobile offering the iPhone 5s free of charge, with a plan where buyers can repay the device over the next 24 months. On Chen’s part, he believes that his reaction combined with those of loyal BlackBerry customers was successful in making T-Mobile acknowledge that it had unintentionally hurt some feelings with its iPhone 5s deal. “By expressing your outrage directly to T-Mobile ‎through tweets, calls and comments in the media and on blog posts, you sent a powerful message that T-Mobile could not ignore,” said the executives. An informative new blog post from InfoWorld contributor Roger Grimes sought yesterday to offer advice to prospective workers on how to enter the world of IT security and get a job in the industry. The same fundamental concepts in job seeking would still apply for IT security job seekers, as Grimes concluded by saying prospective employees should “prepare like (they’re) going to war”, meaning, do their homework and learn all that they could about the company they are applying for, starting from its history, right down to its main competitors and the broader computer security industry. Grimes also suggested that job seekers tailor-fit their resumes for each job they’re applying for and, arguably more importantly, do what they could to show to the interviewer how much they want the job, no matter that they may possibly be less qualified or less experienced than other potential candidates. 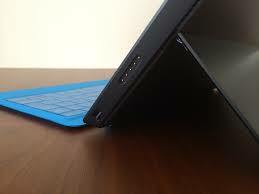 Since the release of Microsoft, Corp.’s (NASDAQ: MSFT) first Surface tablets in late 2012, the devices have mainly been considered failures when it comes to the dollars and cents aspect of consumer electronics. Neither the Surface nor the Surface Pro sold well since their respective release dates, and it didn’t help either that Microsoft had to deal with some PR complications, such as the Surface RT proving to be confusing for users who weren’t aware that Windows RT is a “lite” version of the Windows platform that is specifically created for devices based on ARM architecture. Also, many felt that the productivity-oriented Surface Pro didn’t come with enough storage space for end users, what with the software taking up a huge chunk of the advertised internal memory. However, Microsoft had recently reported some solid growth figures in Surface tablet sales, something that may bode well for the future of the “struggling” slates. Statistics on Microsoft’s quarter four 2013 financials show that Surface revenue had increased by more than twofold, rising from $400 million to $893 million on a quarter-over-quarter basis. Microsoft said in its conference call with investors that this was driven by “improved execution at retail and favorable reviews of the new Surface devices,” namely the Surface 2 and Surface Pro 2. Further, tablet shipments had also more than doubled from quarter three 2013 to quarter four 2014, though it should be mentioned that shipments to retailers are not to be confused with sales, or the actual Microsoft Surface tablets purchased by customers. Microsoft did not delineate sales figures to separate sales of the Surface/Surface 2 line (tablets powered by Windows RT, which cannot run “legacy” programs), and the Surface Pro/Surface Pro 2 (tablets running on full-featured versions of Windows 8/8.1). Regardless of how one looks at the Microsoft Surface tablets’ success, or lack thereof, December 2013’s statistics are a more than decent improvement over early-2013 stats, where Microsoft had written off $900 million due to poor demand and sales for the first-generation Microsoft Surface RT. As of quarter two 2013 (June ending quarter), Microsoft had earned $853 million in Surface tablet sales, even though these tablets had not yet been available for at least 12 months/one calendar year. Despite the improvement in sales and shipments, Microsoft still has a ways to go before it turns a corner and makes the Surface tablet series into a truly profitable family of devices. And it did not disclose any financial specifics either on the performance of the Nokia Devices and Services unit, an arm it is set to fully acquire in the current March 2014 quarter. According to Microsoft CFO Amy E. Hood, the company, in her opinion, has “made a big leap from version one to version two.” She also added that there was growth in Microsoft’s Windows Phone business, both in licensing and mobile phone intellectual property revenue. As for Microsoft Chief Executive Steven A. (Steve) Ballmer, he admitted that Microsoft’s Commercial arm “continues to outpace the overall market”, and that the Devices and Consumer segment performed “great” in the holiday, or October to December 2013 quarter. Rumors and speculation continue to fire up regarding a Nokia Android smartphone that will be positioned underneath its Lumia series of Windows Phones, but with a twist – despite the possibility that the phone will run on Google’s Android OS, the device may still come with the look and feel of the Windows Phone user experience. Recently leaked images and details suggest that the Nokia Android phone, which bears the internal codename Normandy, has similar fundamentals to some of Nokia’s lower-end Lumia phones. 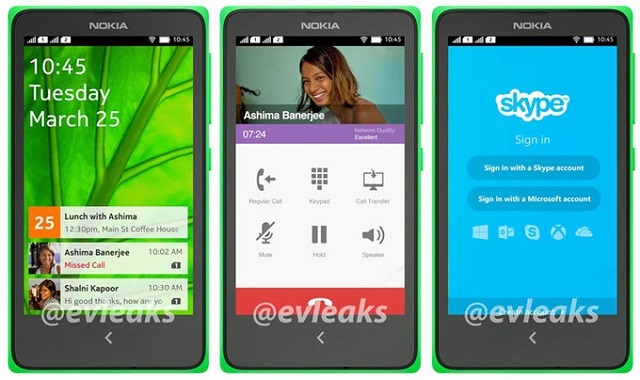 However, the photos also show that the UX/UI may be more akin to Windows Phone Live Tiles, and would make use of Microsoft and Nokia’s ecosystem, rather than that of Google Android. This appears to be a similar approach to the one taken for Amazon’s Kindle Fire tablet series, which some have taken to calling “pseudo-Android.” While the Kindle Fire slates technically run on Android, they do not support the Google Play Store and other Android services; these services are replaced by Amazon’s own ecosystem, thus making the tablets distinct from other Android-powered tablets such as the Nexus 7 and Samsung’s Galaxy Tab family. Op-eds also have suggested that Microsoft also could benefit from the Nokia Android phone strategy, and the Normandy’s upcoming launch and release. According to one particular op-ed from Mobile World Live’s Steve Costello, Microsoft has a lot to gain if things are looked at “pragmatically.” He opined that Microsoft could target entry-level device owners “with the potential aim of moving them up to a Windows Phone device in (the) future” once Microsoft’s buyout of Nokia is completed. This would, according to him, allow Microsoft to create “higher-value” consumers going forward, and potentially stimulate faster adoption of the Windows Phone platform through the indirect means of launching an entry-level Windows Phone-flavored Android device. Over the past few days, there’s been plenty of debate as to whether Apple had adopted a decidedly BlackBerry-esque marketing plan for the iPhone 5S and 5C. Not only did the Cupertino clan refuse to accept pre-orders this year, but talk of supplies being wipes out just two hours after the new iPhones went on sale smacked of a stock shortage. And some went so far as to accuse Apple of deliberately stockpiling too few units in order to sell out as early as possible and summarily drive demand even higher. It’s a trick that’s been known to work wonders in the past, but one we all cottoned onto some time ago. Sadly for Apple’s doubters, humble pie is well and truly on the menu tonight as Cook and Co. have apparently done it again. Not only have the weekend’s official iPhone sales stats silenced the critics, they’ve broken records and astonished the lot of us. In what CEO Tim Cook has called the firm’s “best iPhone launch yet” a staggering 9 million units have already flown out in just three days. We’ve yet to learn the exact figures in terms of iPhone 5S versus 5C sales, but as the 5S was the first to sell out in most parts it’s largely a given that it will have chalked up the lion’s share for Apple. 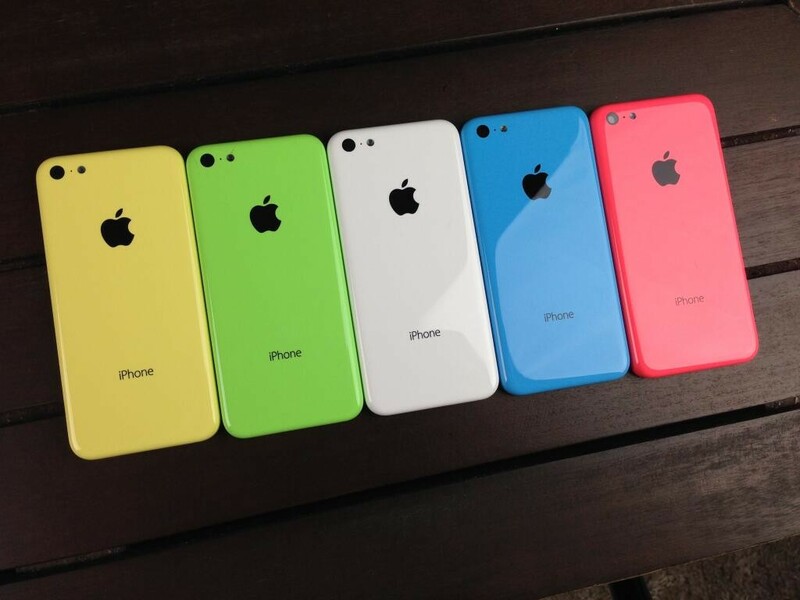 Third-party analytical groups have already predicted that the iPhone 5S it outselling the 5C by three to one, which comes as little surprise when factoring in the rather minor price difference between the two. The number of combined sales represents an all-time record for iPhone sales during an opening weekend, which is to some extent the precise opposite to what had been expected by some of the firm’s less optimistic critics. “The demand for the new iPhones has been incredible, and while we’ve sold out of our initial supply of iPhone 5S, stores continue to receive new iPhone shipments regularly,” read the statement from Tim Cook earlier today. And it doesn’t end there either – we’re also told that iOS 7 is likewise making its way into the record books. Despite having received a somewhat mixed response so far, some 200 million users have already downloaded and installed the latest build of Apple’s iconic OS, making it the fastest upgrade of an OS in the history of mobile technology, so says Apple. The news has driven Apple’s share values up a solid 4.4%. 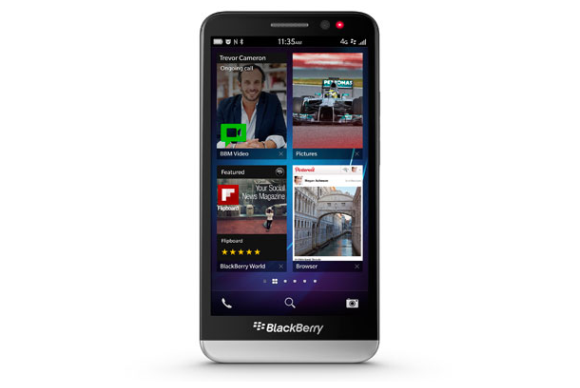 BlackBerry has just announced its latest and arguably its greatest handset ever – the long-awaited BlackBerry Z30. So why is it that a product unveiling that should have been one of the most exciting and important of the year has turned out to be as thrilling as day-old toast? Simple really – as great as the Z30 may once have been, it could be all too late for it to prevent BlackBerry going under once and for all. Call it a bittersweet swansong, if you will. Speculation had been rife since the arrival of the first BB10 handsets that something bigger and generally beefier would be coming soon. And indeed it was…or is…as the BlackBerry Z30 ups the ante in both size and specification stakes. It boasts an impressive 5-inch 720p HD display, a Qualcomm Snapdragon S4 Pro processor clocked at 1.7GHz backed by 2GB of RAM and a superbly capable 2,880mAh battery. Apparently it’s good for up to 25 hours of use from a single charge, but the sad truth is that this is looking like its biggest claim to fame so far. As impressive as the above spec-sheet sounds in its own right, the problem here is that the Z30 isn’t launching in a vacuum. Quite to the contrary – it’s launching when there’s already a Z10 doing the rounds that’s about 95% identical, albeit with a smaller 4.2-inch screen. And therein lies the problem. When the majority of big and successful names in the Smartphone world launch a new Phablet or any significantly larger piece of kit, they ensure it has more going for it than girth alone. Take the Samsung Galaxy Note series or the HTC One Max as just two examples – both significantly more capable than their respective flagship Smartphone counterparts. With the BBZ30 though, no such luck. As such, the only buyers that are going to be interested in the Z30 are those that loved the Z10 but aren’t keen on using it with one hand – a selective target audience at best. For the rest of us, the Z30 holds no more appeal than the Z10 which has already lost its spark – chances are it won’t help that the Z30 will carry a rather premium price tag. What’s become painfully clear is that while much credit is very much due for efforts made, BlackBerry 10 just isn’t enough to save the company from a painfully early grave. We all got caught up in the hype surrounding the Z10 and Q10 ahead of their respective launched yet the pair combined weren’t enough to re-float the sinking BB ship. What chance, therefore, does a BB Z30 have that’s already got more of us yawning than yearning?